Downhill and Tubing Operations resume from 11am-5pm today. 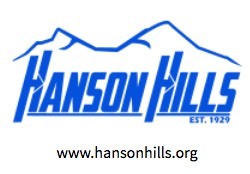 Come out and enjoy the finale of Hanson Hills Race Team and Big Air Competition! Cross Country Trail Report: Groomer Jason is out this morning attempting to set fresh tracks on our trail system this morning. Skate lanes are great on all trails. Please avoid M-93 Hills as they are too icy to run our equipment.